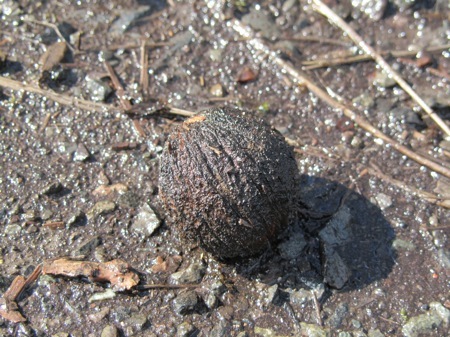 There is a great walnut tree that I like to visit on my walks around the neighborhood. The crows like it too. I know it’s a walnut tree, a black walnut in fact, because in the fall there were thousands of rotting black walnuts around. I brought some home to use the hulls but they molded in my house. Clearly I need to do some more research on when to harvest and how to dry them. 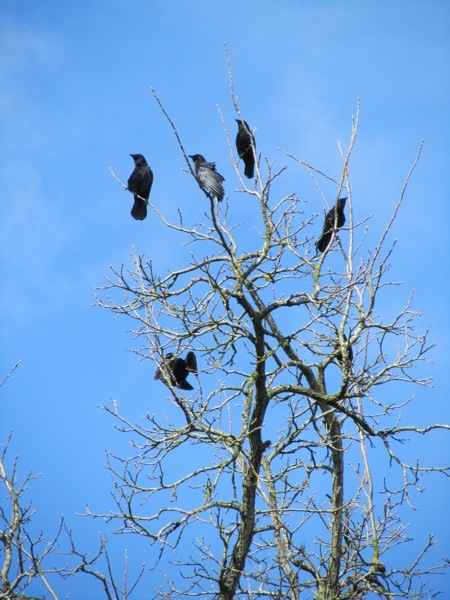 But the crows knew just what to do with them. 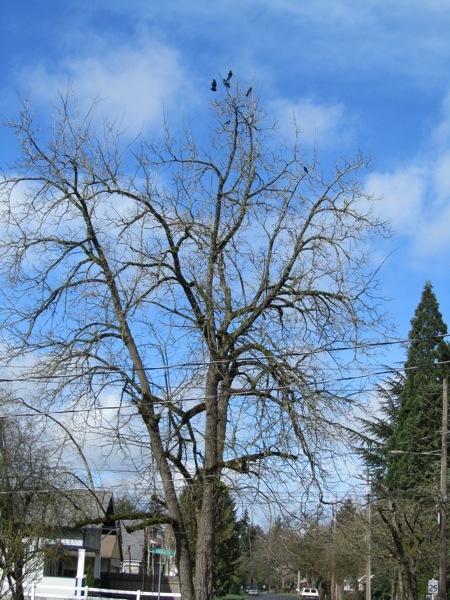 All winter long they flew into the tree and surrounding telephone wires and dropped walnuts onto the street. Over and over again until they cracked open. Now there is just one muddy, brown nut left.